One broker has a beef with a lender after a number of his mortgages were not honoured following a policy change. Marco elected to move the mortgage to another instruction so he could continue to offer mortgages through his self-directed RRSP. However, the original lender continues to refuse to waive the fee to close the account, according to Marco. Self-directed RRSPs are becoming a dying breed, with all major banks having exited the space in late 2013. Currently, there are only a handful of lenders who will allow the practice to continue. Good to hear I only knew of Olympia Trust and B2B who did self directed still, so there are a few more I see but yes TDCT ws unfair to me in their policy as well. I feel no need to protect their name, it was dirty pool in my opinion. Actually it wasn't TDCT that but B2B. 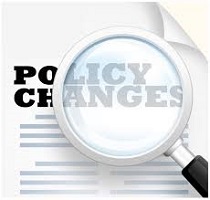 Their policy change cost me money and forced me to move some of my investments at my expense. I am looking at remedies. I set up a self directed plan with Canadian Western Trust and to date they have been amazing. You may want to check them out as well. Feel free to contact me directly to discuss your issues with TDCT. Thanks. We are doing $10 Million in private mortgages a year out of Scotia Trust Self Directed on behalf of our own money and our investors and so far zero problems. No third mortgages but we really don't ever do thirds so not an issue.